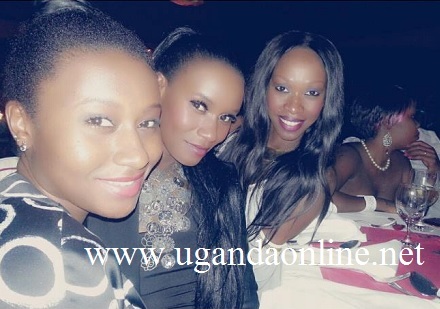 Juliana Kanyomozi and Zuena were among the guests who celebrated socialite Judith HEARD's birthday party that was held at Sheraton on Friday, 15Mar13. The ex model, who turned 27 on 13 Mar (13), had her birthday party graced by gals only as they joined her in tasting all cocktails of wine in what she termed as Queens Wine Tasting. She was born on the same day with her twin daughters, Briana and Branda. JH was so excited that on her B-Day, this was when the pope was elected. "More memories my birthday had my twin girls and on our birthday, the new pope was elected." Last year, Judith Heard celebrated her 26th birthday at Guvnor which was attended by jailed Meddie Ssentongo and Isaac Lugudde among others. Notable among those who missed her B-day was FabClan member Sue Ochola who is chilling in UK.